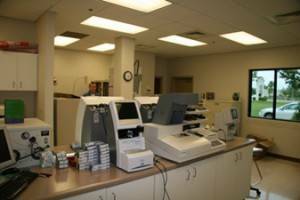 The optical lab at Wesson and Mothershed Eye Center offers a wide array of optical lenses to meet any needs that our patients require. We stock a wide slection of bifocal lenses - everything from a standard lined bifocal to a short corridor progressive (no lined bifocal) for the fashion minded patient. Wesson and Mothershed Eye Center also offers high index lenses to make every prescription look thin and give a light-weight to the glasses. Polarized lenses or transition or variable tint lenses are recommended for people who enjoy the outdoors for the ultimate in UV protection. Patients should also get anti-reflective treatment on their lenses to ensure the clearest possible vision and also help reduce the problems created by glare. Check out our Optician's Picks!